Yes, we’re talking retargeting again! 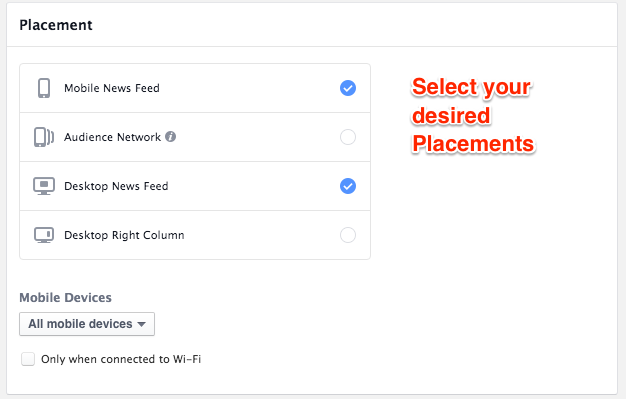 Last week I wrote about Interest targeting and how Facebook makes it easy for you to put your detective hat on and dig DEEP into your ideal customers’ profile. This is a great strategy to use if you’re just getting started and/or want to build your audience. But, as I also mentioned… if you already have decent web traffic and an existing email list, it can be a dang good idea to (also) use Custom Audiences as a targeting method. 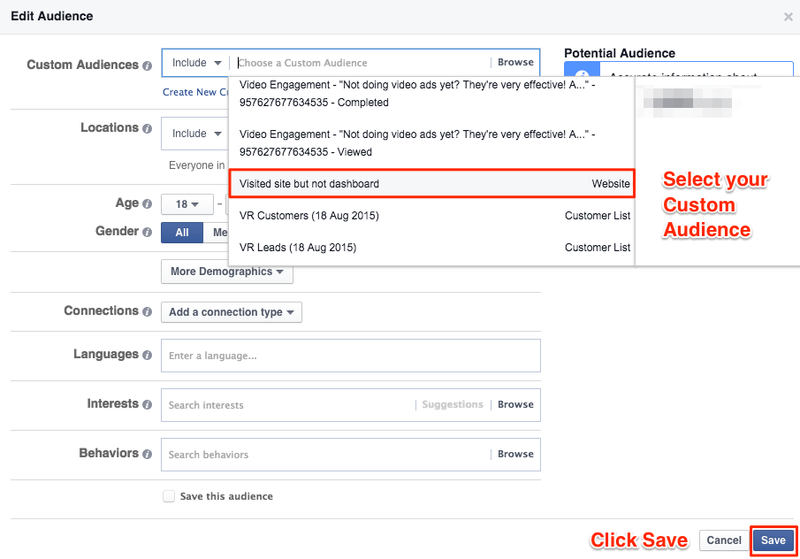 Custom Audiences on Facebook are simply: people who already know you! On Facebook, you can upload your email list, create lists of people who have visited your website and even of people who have used your app or game. This is incredibly powerful, for the very simple reason that people who already know, like and trust you are MUCH more likely to be interested in whatever you have to offer! Want to know even more about why you should be doing it? Then make sure to check out my post on remarketing with Youtube Video Ads in which I explain more about the why behind it all. But… to sum it up: it works, it’s easy, and it gives you a second chance! Today I will show you how to set up a retargeting campaign for Facebook Video Ads, specifically to target website traffic. Before you can start running retargeting campaigns to website visitors you need to install a pixel. This is a piece of code, similar to the Remarketing tag that is needed for doing remarketing on Youtube. you need to install this to be able to start creating lists of people who have visited your website. you have ONE unique Custom Audience pixel for your entire Facebook Ad account and you can install it on any page on your website that you want to track. you can find more info on how to install it here. 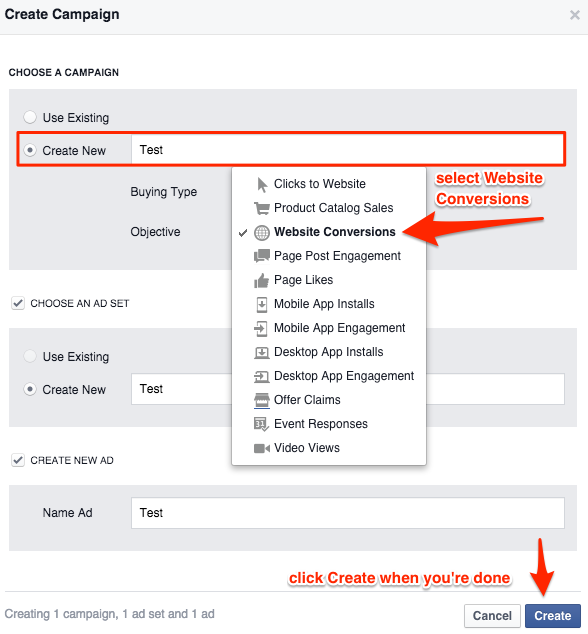 you need to install this so that Facebook can show you how many people converted (to leads or customers for example) as a result of your ad. 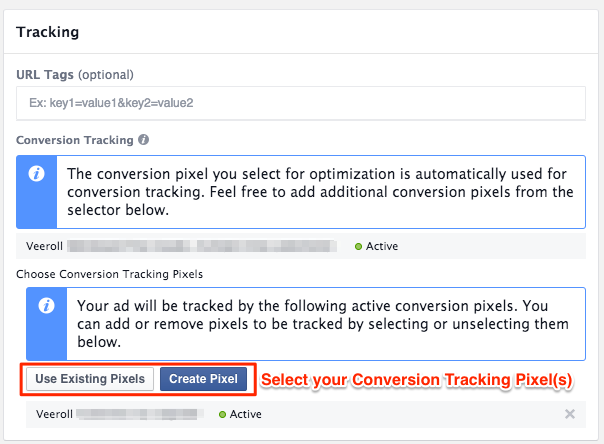 you create a new unique pixel for EACH type of conversion you want to track. But, recently there has been a change! Facebook has also started rolling out a new “upgraded” pixel which integrates both. We’ll make sure to write a new article on those changes later, once we’ve done some tests with it ourselves. For now, the method using both pixels is still working well. So, check out the resources above and remember… if you’re NOT techy, then, by all means, don’t spend hours fiddling with it! Just ask a friend, your web developer or a freelancer on Upwork to install it for you. We’ve been experimenting with our own campaigns and even though lots of people seem to be intimidated by it, we are pretty fond of the Power Editor! It’s generally designed for scale, meaning that it’s super fast to duplicate and bulk edit your ads. I don’t know about you, but whichever tool will make me more efficient in the long run is going to win! You can use longer ad copy. Somehow in the Ad Manager, you can use fewer characters inside your ads. Well, sometimes you need more words to make your point, right? We don’t want to be limited there. It pays off to dive into this beast of a tool and really get to know it! Before you start it’s good to understand the basic way the Power Editor wants us to organize campaigns. 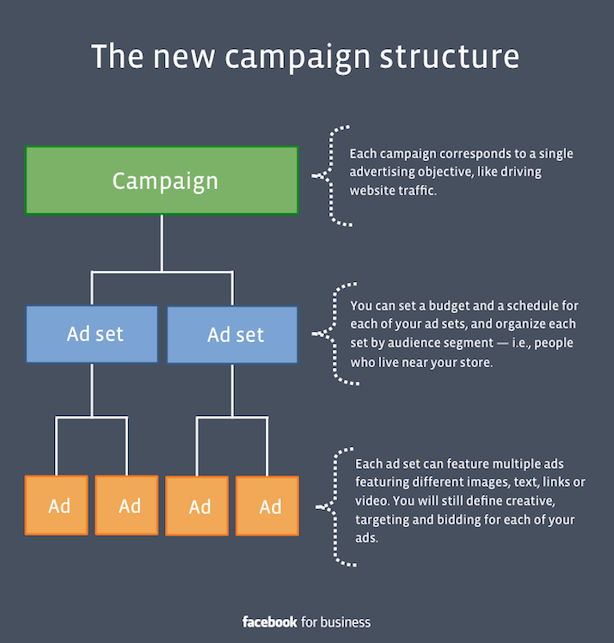 Luckily they’ve created this useful graphic for us to get a clear overview of the different levels: Campaigns, Ad Sets, and Ads. Of course, you can get creative and use it in a different way, but I gotta say this way of organizing things makes an advertisers’ life pretty easy! After that, you’ll be greeted with a new popup window. Make sure to enter the titles for your Campaign, Ad Set and Ad and select Website Conversions as the objective. You don’t have to change the Buying type (Auction) for now. So, when you’re done, just click Create. Once your new campaign is created the Power Editor will automatically open the Campaign View. You don’t have to do anything in this view right now, as your Objective and buying Type have already been selected. You can view and edit your Ad Sets and Ad in the two levels below that. Click on the Ad Set area to move to the next step! Once you’re inside the Ad Set you can start by selecting your Conversion Pixel for this specific campaign. When your pixel is installed correctly it will show up in a drop-down menu. If it’s not showing up for you, make sure to check out the resources at the beginning of this post to figure out what’s going on. You can also choose your Daily Budget. If you want to start small, just set it to $5 a day. You can always scale it up later! You can leave the Schedule settings just as they are unless you only want to run your campaign temporarily. To move to the next step, just click on Edit Audience! 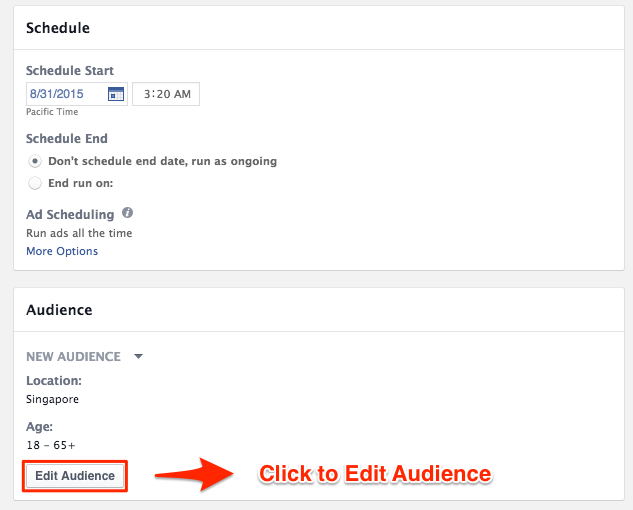 In the following step, you can click the browse button to select the Custom Audience you’ve created. As you can see we already have several lists. The one we’re selecting here is called “Visited site but not dashboard” because it includes all previous website visitors except for our members (as we don’t want to retarget our existing customers for this campaign). Make sure to include All Locations (sometimes it selects your own country by default) and hit Save when you’re done! Now you’ll return back to the main screen in which you can edit the rest of your Ad Set. Below you’ll be able to select your Placements. For our campaigns, we’ve used both the Mobile and Desktop Newsfeed, but you could also use different Ad Sets to test them separately. So far we’ve left the setting about Wi-Fi alone, but feel free to test out if it makes a difference! (Yes, the things you can test are endless indeed! Definitely feel free to experiment so you can learn what works best for you). For Optimization and Pricing, we advise you to go for the recommended and default settings if it’s your first time. 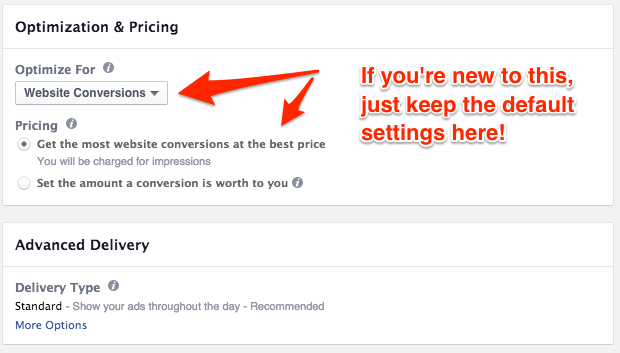 Advanced Facebook Advertisers usually test out different settings here, but if you’re just getting started this will likely only be overwhelming. In other words: only tweak it if you know what you’re doing! Also, in case you’re wondering if there’s a Save button somewhere in the meantime….nope there isn’t! You can just keep going and you’ll be able to upload your changes all at once when you’re done. Now, click on the 3rd row to edit your Ad. Then, the first thing you’ll have to do is select your Business Page. Yes yes, we’re getting there! Now it’s finally time to create your video ad. You can choose to use an existing post (if you’ve already posted the ad you want to use to your timeline) or you can upload a new one. If you DON’T want it to show up on your public page, you can choose the latter. Make sure to select “Ad with an image or video”. 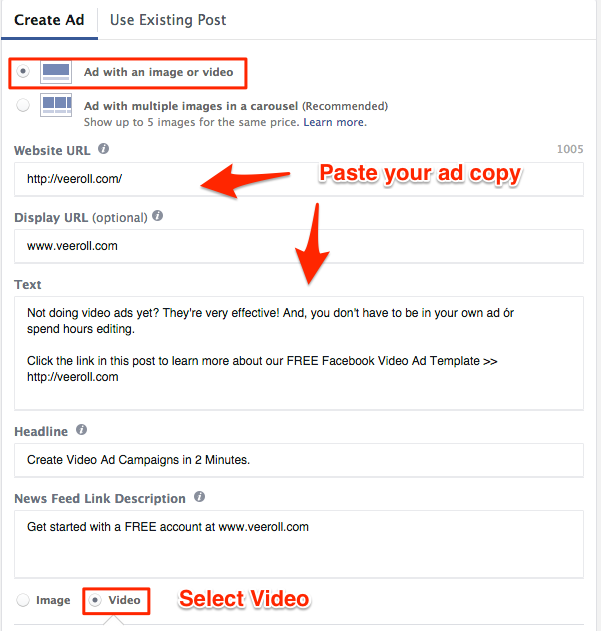 Then, paste your ad copy, your website links and select the option Video. 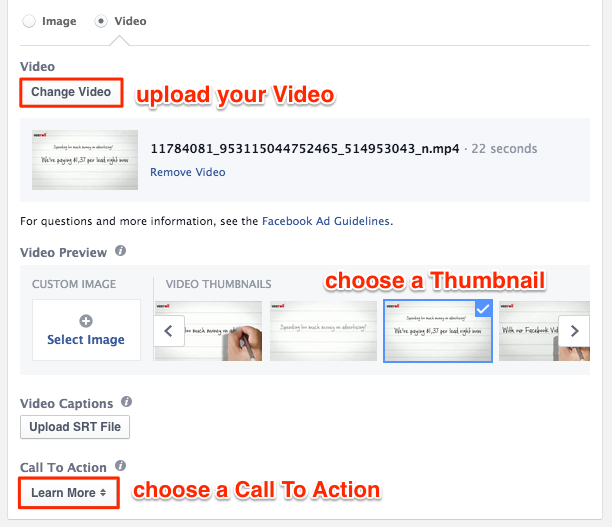 After that, you can upload your Video (or select one that you’ve already uploaded), choose a thumbnail and a Call To Action. We like the CTA “Learn More” because it sounds less intimidating than “Download” or “Sign Up”. Et voilà, the preview of your ad will show up in the sidebar. Now you can see how your ad will look on different devices and tweak your copy where needed. It’s time to scroll all the way down to the (almost) last step: selecting your Conversion Tracking Pixel(s). In this example, you can see that we’ve selected 2 different pixels because we want to know how many leads as well as how many customers have resulted from our ad! This is the type of data you MUST be tracking, otherwise, you’ll have no idea of how effective your ads really are. And yes, now the only thing you have left to do is click on Upload Changes! Done, woohoo! Now that wasn’t TOO hard, was it? 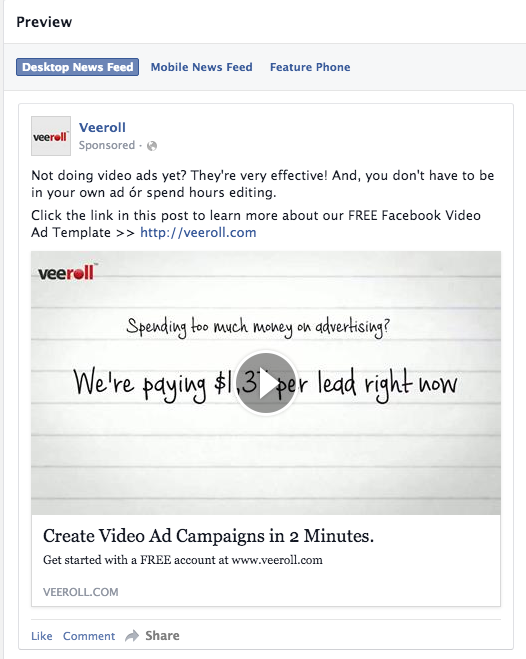 Of course, there are a LOT more approaches to take when it comes to remarketing and Facebook Video Ads in general! But, hopefully, this was a useful guide to getting started. And, make sure to also check out the video at the top of this post, in which I walk you through the whole process! PS: In case you’re ready to put your Facebook Ad Mastery on steroids we HIGHLY recommend Keith Krance’s Facebook Ads University: an online membership for serious advertisers who want to learn the best and most advanced Facebook Ad strategies!